Using CT-Assist, you can analyze the code of ABAP programs automatically and use the findings to generate software metrics. Subsequent comparison with other areas of code (e.g. reference programs) identify areas that either correspond or that deviate significantly, which in turn may suggest the need for a further check. Using the CT-Assist selection functions, you can request metrics information or analysis results for a selected group of ABAP programs and can, in this way, decide where to place the focus for your analysis. 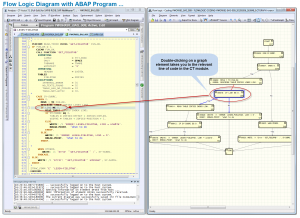 Information about the comparability of ABAP code within a group or area (e.g. 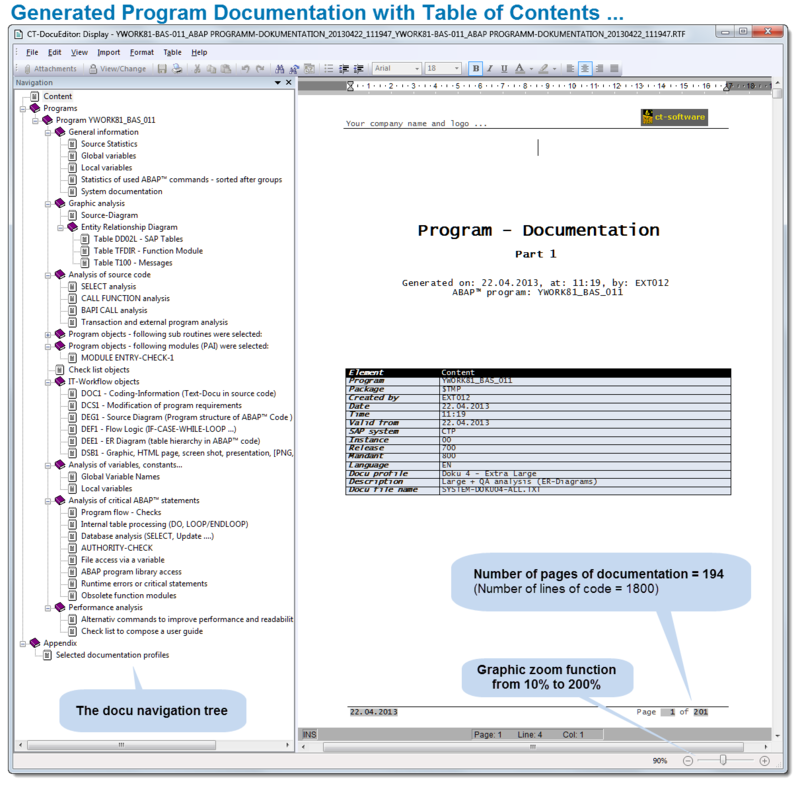 program type/author/changed by/created on/changed on/time period/program version/package) or between separate groups can be revealing for certain quality specifications. The results of the analyses frequently uncover know-how deficits and make it possible to define appropriate qualification measures (e.g. training courses, workshops, CBT materials). By double-clicking, you can navigate from the analysis results straight to the relevant point in the ABAP code to get an overview of the context at this position in the code in the ABAP program and, if necessary, to initiate further checks. 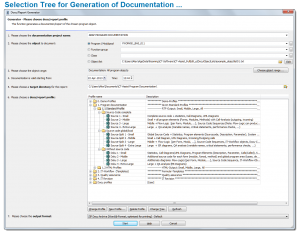 The automated code analysis is controlled by analysis profiles. Using the profiles available in CT-Assist, you can create various software metrics for ABAP programs. User-specific entries in the analysis profile allow you to extend the scope and complexity of the software metrics to meet your company-specific requirements. 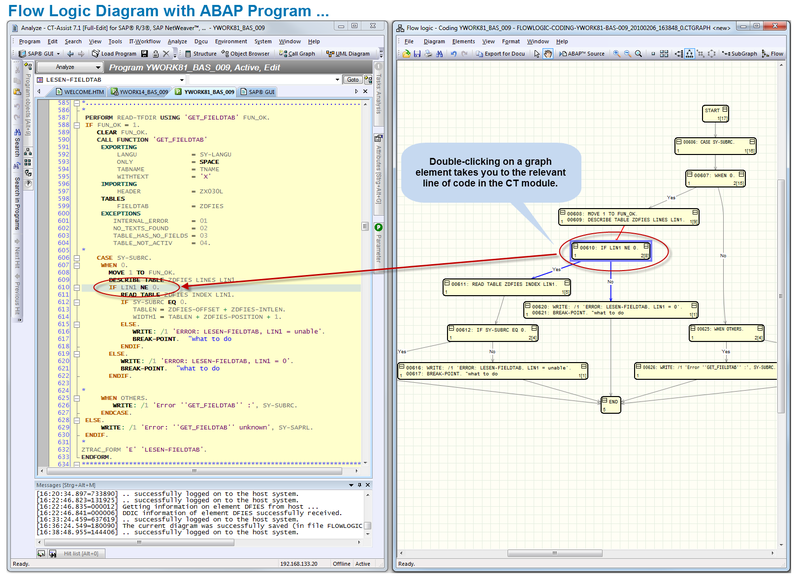 The checklists automatically locate problematic areas of ABAP code. You can configure the checklistes based on your company internal guidelines. In addition to edit ABAP search queries in the checklist script you can directly assign notes and questions to relevant hits. The notes/questions/checklists assigned to the hits are also used to ensure/check that internal guidelines are adhered to. As part of your IT quality assurance, you can implement appropriate QA inspection points at every stage in an IT process chain (e.g. change request, maintenance, error correction, …) using online forms that accompany the process (workflow forms). The prerequisite for this is that a reference to an involved source code member (transaction, class, INCLUDE, report, etc.) exists within the process chain. The online forms that accompany the process are connected to the code involved via link or bookmark. Several online forms can be used within a process chain. The IT process chain can be triggered via a customer-specific QA transaction, for example, in which the processing steps (or IT workplaces) involved are specified. In addition, the relevant QA checklists are connected (via link in the code or bookmark) to the code to be edited as online forms. The employee in question enters the results per process step into the online form during processing as per the QA checklist and makes these available for subsequent process steps. The processing status and effort involved are then transparent per process chain; Combined coordination of the various process steps is enabled. An evaluation of the online forms to determine the current status of work (e.g. hours actually worked) can be requested at any time using customer-specific ABAP™ programs. Using the CT-Assist menu function “IT-Workflow”, you can control and evaluate your internal IT processes using online forms. The delivery version of CT-Assist provides several form templates for copying. 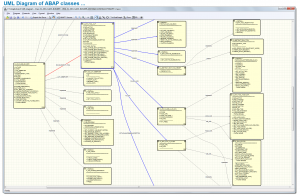 For quality assurance, graphical analysis of the ABAP® code provide a first step towards gaining an overview and for deciding on what manual checks might be needed. Depending on the graphic, double-clicking on the graphic element in question takes you straight to the relevant place in the ABAP code. 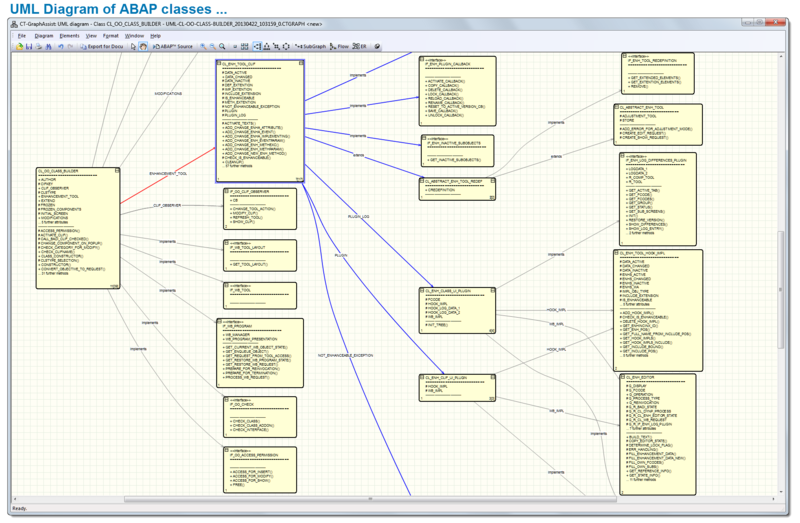 If you then want to navigate from the detailed analysis in the ABAP code to the global overview in the graphic, you can branch too from the code to the graphic. Via a separate menu, CT-GraphAssist provides you with further functions for alternative methods of displaying and editing the graphics. 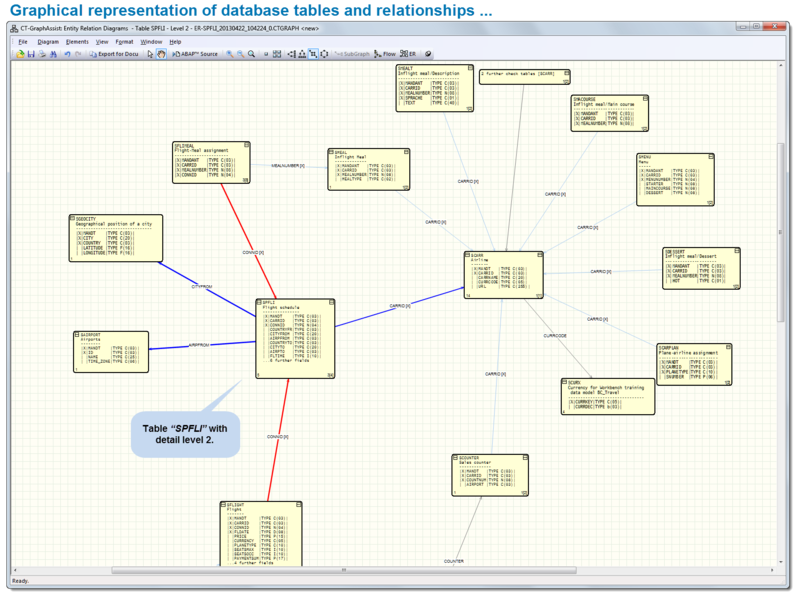 CT-GraphAssist generates a source diagram for the current ABAP program to enable analysis supported by graphics. As a result, you can get a comparatively fast global overview even of complex program structures. 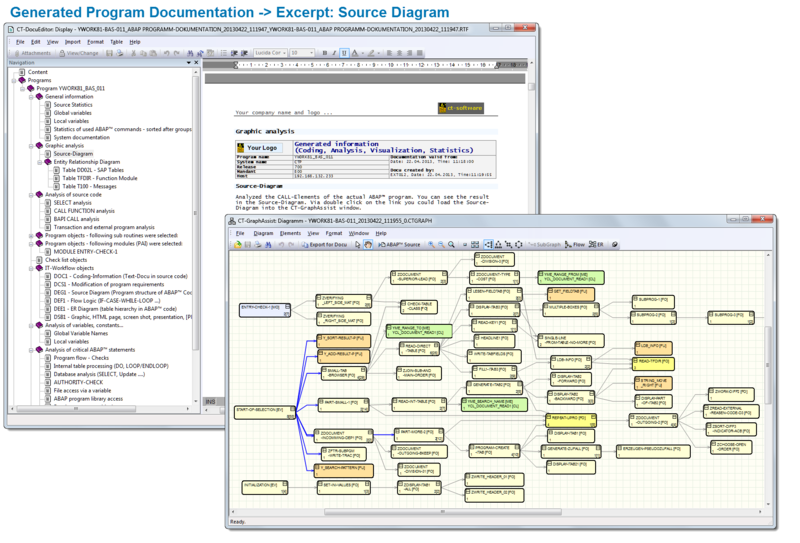 Flow logic analysis enables the graphical representation of decision and processing structures (such as IF, CASE, WHILE, and LOOP) within ABAP source code. 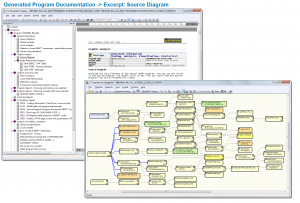 Flow logic diagrams can be created for FORMs, function modules, and methods. Starting with the specified class, dependent classes are found and shown in a UML class diagram. In UML notation, the various ABAP-OO classes are shown as boxes (with class names, methods, and attributes). 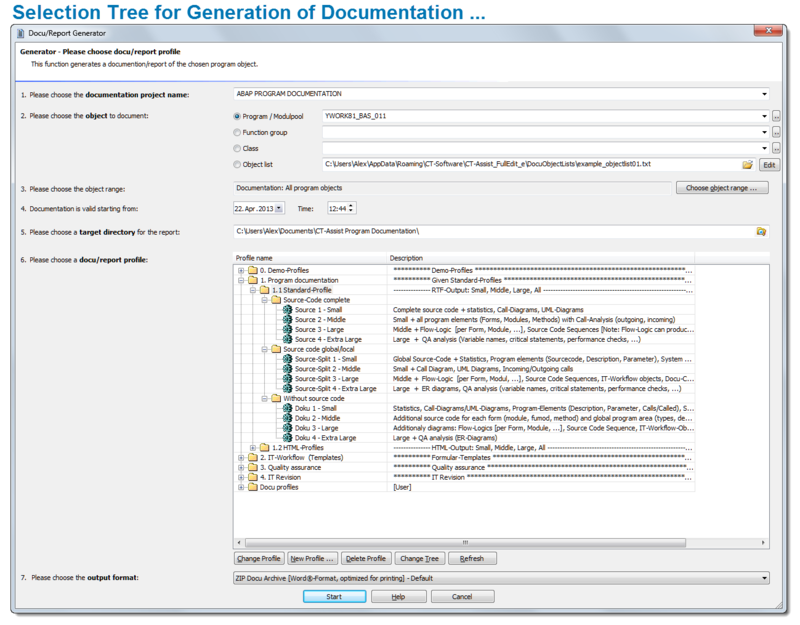 CT-Assist provides a comprehensive set of functions for analysis, evaluation, and documentation of the ABAP® code (and other relevant project documents). To simplify the selection process for generating documentation, CT-Assist provides more than 20 evaluation profiles. In a selection menu, you can choose the analyses you require. Handling in CT-Assist is supported by a separate main menu. 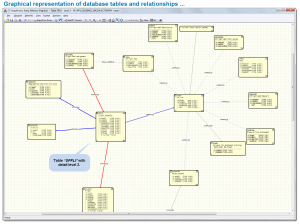 Using online forms, you can catalog and archive project documents (such as e-mails, meeting minutes, Word documents, graphics, organization charts, flow charts, and keys) and attach them directly to ABAP™ code via links or bookmarks. This additional information is essential for later maintenance work and can, for example, be analyzed and documented using CT-Assist menu functions. 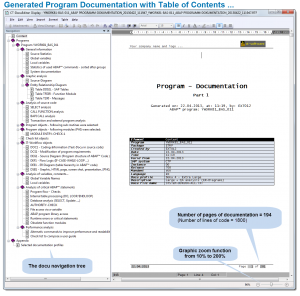 The CT-Assist function “Docu Administration” provides version control for the generated ABAP documentation and functions for monitoring and administration of the documentation. These allow you to detect, for example, any gaps in the documentation that have arisen over time. If the ABAP® code is checked and analyzed as part of the quality control measures, it makes sense to use the relevant CT-Assist LIVE routines for this analysis and checking work. For example, you can spot critical commands, check that internal code guidelines are adhered to, that available code templates are used, and that reusable code is actually used.